At the end of August, ProntoForms participated in Field Service Amelia Island, an annual event put on by Worldwide Business Research. This was ProntoForms’ fourth time attending one of WBR’s premiere Field Service events, centered around the latest and greatest advances in field mobility and management. In addition to hosting a booth at the event’s popular tradeshow, ProntoForms also held a workshop session on the first day of the event, Aligning Technologies and Vision – How a simple, powerful technology enabled Johnson Controls to revolutionize interactions with their technicians. 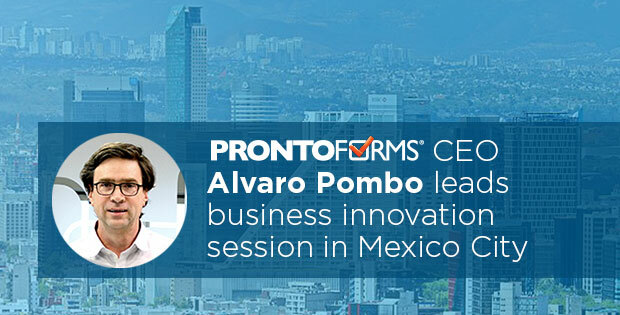 ProntoForms CEO & Founder, Alvaro Pombo, was joined by Pat Foley of Johnson Controls for a candid discussion on their unanticipated business transformation upon adopting ProntoForms. In the workshop session, Pat openly shared how the search for a tool to provide proof of value to their customers lead them to discover ProntoForms. 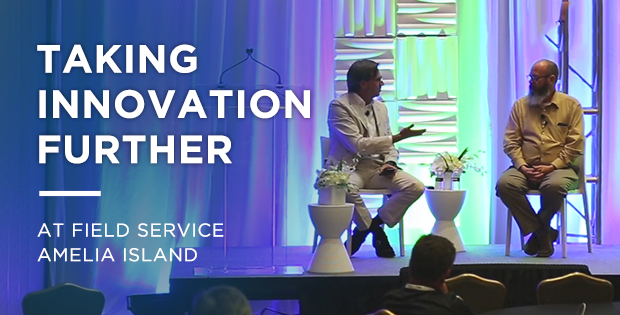 From there, they began to uncover a world of possibilities over and above their initial goals, rethinking their overall technology approach with field technicians: “What we realized was, even when we said the words, ‘we are really customer focused’, that our methods weren’t really around the customer,” explained Pat. Beyond having a robust solution for the workflow improvement discoveries that Johnson Controls was making, a wonderful partnership was formed, allowing ProntoForms and Johnson Controls to innovate together on new features and product enhancements. “With every single one of our customers, we collaborate,” explained Pombo during the session. “There is nothing better for a high-tech company than to build features based on real people.” The workshop session concluded with audience members getting a sneak peak of some of the new ProntoForms features that are currently in development. To discover how mobility can help your business innovate, contact us. Jacinta joined ProntoForms in 2014 as a Technical Documentation Writer. She then moved over to the Marketing department as a Product Marketing Specialist where she has been involved in many aspects of copy production, and has taken a whole lot of screenshots. Jacinta has a BA Honours in English, Religion, and Philosophy from University of Toronto.